Temper-trapped past participle verb tricked into a buying a music album on the strength of one song, to discover that it’s the only decent one on the whole album. It’s derived from the band The Temper Trap: I bought their debut album Conditions after hearing the song Sweet Disposition, but was disappointed to find that the rest of the album is utterly mediocre and forgettable. I’ve recently been temper-trapped again by John Grant. His song Down Here, an infectious indie pop ballad, was stuck in my head for weeks, so I bought the album, Grey Tickles, Black Pressure, which turned out to be weird electro nonsense: not even the same style of music as the one song I’d enjoyed. What albums have you been temper-trapped by? Is Satan real? 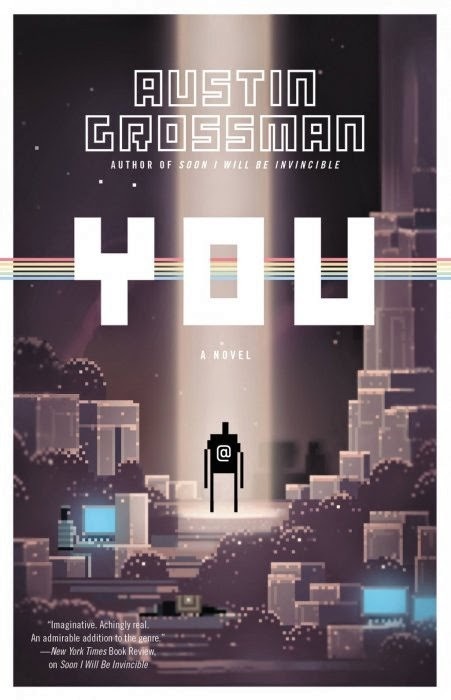 Spoiler: yes! Has anyone else noticed a sudden increase in Jehovah’s Witnesses on the streets of Britain in recent months? I keep seeing them handing out their Watchtower magazines and “What does the Bible really say?” booklets everywhere lately. Last month, I was mildly curious and accepted one of the offered magazines. (This, along with my cheerful, “ooh, yes please!” seemed to produce a response in the offerer similar to a mild electric shock.) 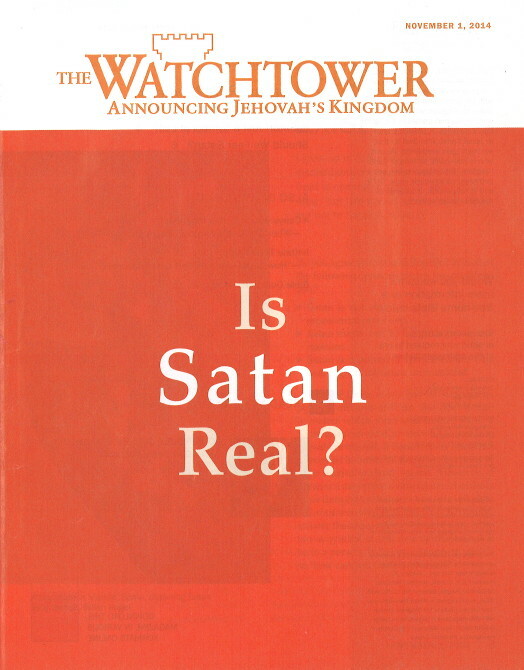 The reason for my interest was the cover story and its headline, “Is Satan real?” According to Betteridge’s Law of Newspaper Headlines, if an article’s headline is framed as a question, the answer is invariably “no”. However, Watchtower violated that rule, because it turned out, much to my surprise, that the answer is “yes”. 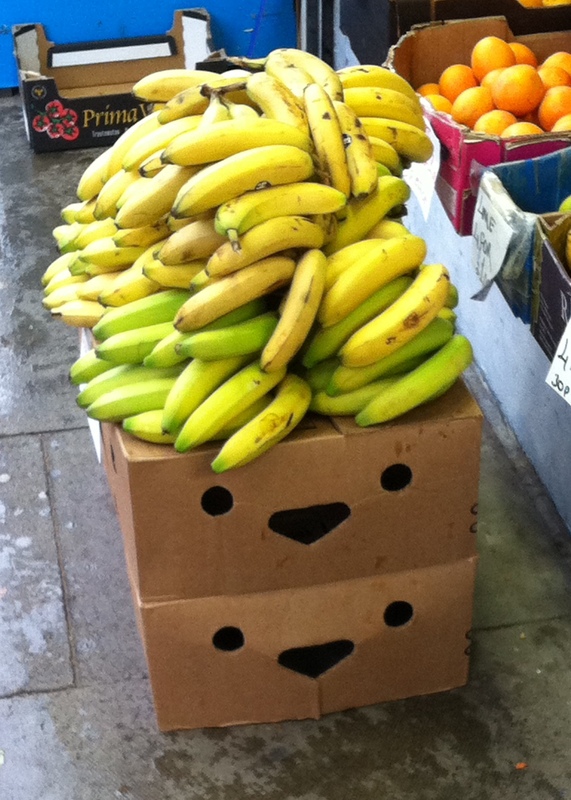 These boxes just love their job carrying bananas! Earlier this year, I read The Machine That Changed The World, by Womack, Jones and Roos. It’s the ground-breaking book which introduced the Western world to lean production, the industrial management philosophy which was pioneered by Toyota, and is now well on the way to replacing the previous paradigm, Fordist mass production, in all kinds of businesses and organisations around the world. For an academic tract about factory management, it was a surprisingly gripping read, and got me thinking about the parallels between lean and my experience in the British Army. I’ve recently stopped using my previous anti-comment-spam plugins (Captcha and Akismet), which were still letting way too many spam comments reach me, and replaced them with WP-Spamshield, which seems good… almost too good. It’s apparently stopped over 5,000 spam comments already. But it blocks them from even reaching my spam comment folder, which saves me the trouble of clearing it, but does mean that I don’t know whether it’s had any false positives. So, if you’re a real person, and you’ve posted a comment recently, which hasn’t yet been approved and posted, then it’s probably been wrongly blocked. Please let me know and I’ll try to sort it out. I wasn’t actually intending to write a follow-up to my Useless product innovations #1 post (the opening line, “And now for a new regular feature…” was a reference to the running joke in Knowing Me, Knowing You with Alan Partridge where a new regular feature is introduced every week and never seen again). However, I have to speak out against Twitter’s new ‘innovation’, which is that it algorithmically picks tweets from people you don’t follow, which it thinks you might be interested in, and plonks them in your timeline. So, I’m back. Already India feels like a surreal dream. I have three travelogue pieces still to write and post: Varanasi, Lucknow and Delhi. With all the backlog of admin to deal with, a wedding to attend, and of course Christmas, I probably won’t get a chance to do these before Christmas Day. I’ll try to post them in the week between Christmas and New Year. In the longer term, I’ll be doing a few general posts about aspects of Indian society and culture as I see them, but that won’t be until January at the earliest, by which time Tom Bell Dot Net will be back to normal, and I’ll be fitting them in between posts about stupid news items and general annoyances. Merry secular winter festival everyone, and a happy arbitrary time measurement boundary! The Room. The greatest worst film ever made. Ten years on from its release, it continues to grow in cult popularity, and there are more and more articles, interviews and tributes appearing all the time. This is an attempt to list all of the resources currently available online for The Room. I’m sure it’s not comprehensive so please use the comments to suggest additions. NB. My personal recommendations are marked in bold. I’ve just realised that whether we’re on the left or the right of the political spectrum, as Brits we all share one political belief: that the country’s going to the dogs, whoever’s in charge. The difference between the left and right is just that the British right believes it goes to the dogs slightly less rapidly under a Conservative government, and vice versa. No-one actually believes any party, even the one they support, can or will do anything to make things better. At best we hope that our chosen party, when it screws everything up, won’t be quite as catastrophic as the other lot would have been. Never mind the Mughals; this is as succinct and clear a description of statehood itself as I’ve ever seen. And more accurate every day as the machinery of coercion improves in sophistication and reach.